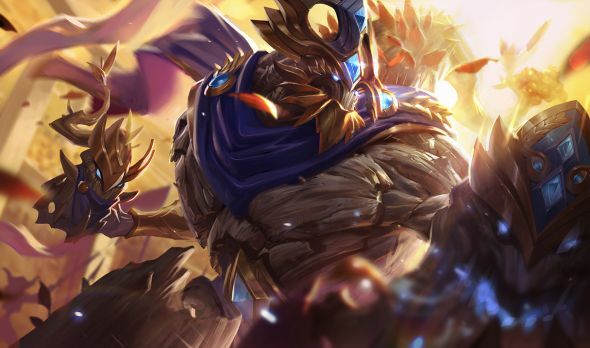 League of Legends’ next big content patch is 6.22, bringing with it the massive pre-season changes, as well as a host of balance and bug fixes. Assassin’s have been redesigned, the jungle is totally different – it’s a whole new game ahead of the League of Legends 2017 season. Have a look below for all the information we’ve got, straight from the PBE. Try the best League of Legends champions. 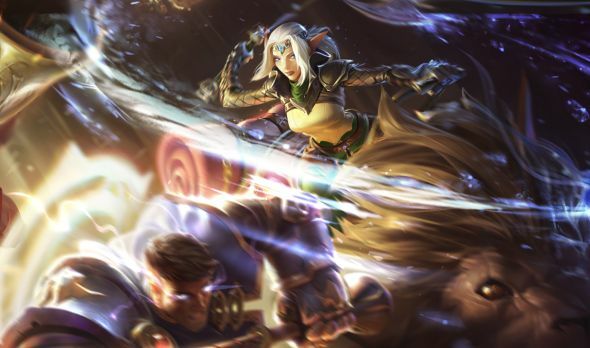 Patch 6.22 will go live on November 9. 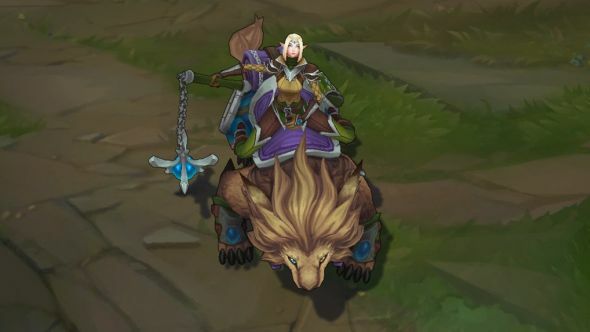 This will be at 3am PT for the NA region, 5am GMT for EUW and 3am CET. As always, keep an eye on theserver maintenance pagefor the latest updates. Official patch notes should follow very soon. There’s a humongous update coming to the assassin class of characters as part of the 2017 pre-season. Every one of them is getting some minor updates, while five are getting close to rework levels of changes. 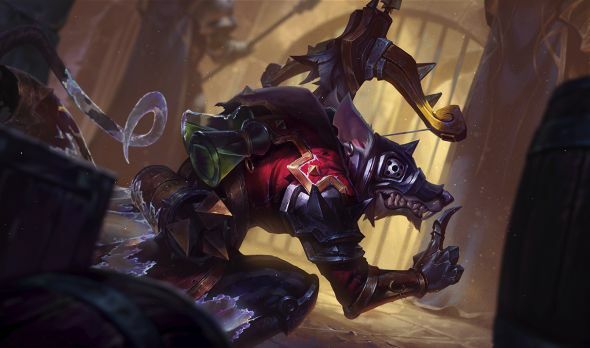 Here’s Riot’s official preview, along with a feedback thread for the artistic changes made. This is on top of the usual balance changes, which are laid out further down. 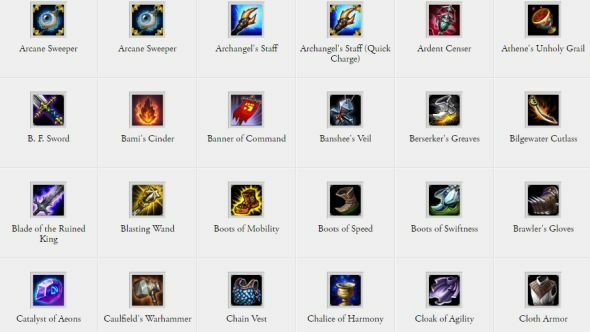 These are the champions that got major adjustments as part of the assassin update. Added: Picking up daggers causes [75-285 based on level] (+100% bonus AD)(+55-100% AP) magic damage in an AoE around Katarina. Deals 75/105/135/165/195 (+30% AP) magic damage to the target and 2 nearby enemies. Now falls to the ground afterwards, slightly behind the first target’s original position. Lasts 4 seconds. Throws a dagger in the air, gaining 50/60/70/80/90% decaying movement speed for 1.25 seconds. Deals 30/45/60/75/90 (+65% AD)(+25% AP) magic damage to enemies. Can now target daggers along with allies and enemies, but not wards. Deals damage to nearest enemy. Now Shunpo’s to a chosen point around the target, rather than directly behind. Picking up a dagger will reduce Shunpo’s cooldown by 78%/84%/90%/96% (at levels 1/6/11/16). Deals25/37.5/50 (+22% bonus AD)(+19% AP) magic damage per dagger. Throws 15. Total potential now 375/562.5/750 (+330% Bonus AD) (+285% AP) damage. Reduces healing and regeneration by 40% on targets struck. All spells inflict a Sigil of Malice on the target for 4 seconds. After 1.5 seconds these can be ‘popped’ by further spell casts, dealing[40+15 per level] (+80% AP) extra magic damage. Sigil of Malice has a 5 second internal cooldown per target. Deals 55/80/105/130/155 (+50% AP) magic damage. If it strikes a Sigiled target, will bounce to next nearest Sigiled target too, dealing 70% damage to minions. Dashes and deals70/100/130/160/190 (+40% AP) magic damage to enemies in the target area. Can return to starting location with second activation within 4 seconds. Shackles the first unit hit to LeBlanc, dealing 40/65/90/115/140 (+50% AP) magic damage. Shackled units rooted for 1.5 seconds after 1.5 seconds, taking an extra40/65/90/115/140 (+50% AP). 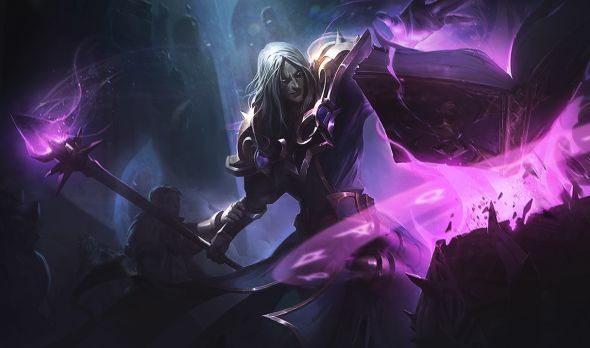 Creates a clone to cast LeBlanc’s next spell, dealing extra damage. Lasts 2.5 seconds. Shatter Orb deals 150/275/400 (+60% AP) magic damage. Distortion deals 125/225/325 (+50% AP) magic damage. Ethereal Chains deals 100/160/200 (+40% AP) magic damage each time. 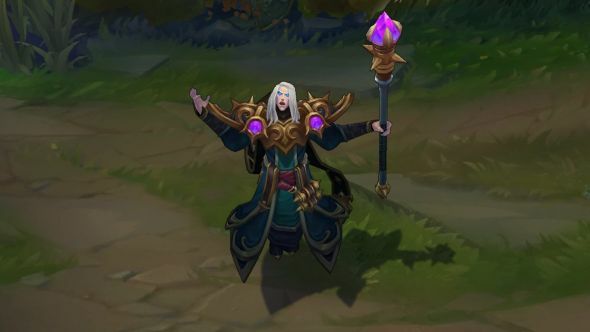 Has an alternate mode that creates a copy of LeBlanc anywhere on the map who runs towards the nearest enemy champion and casts a zero damage copy of her last spell cast. This has a seperate cooldown, but the copy pasts for a long time. It cannot be controlled. This has a separate 150 second cooldown. Gained from leaping onto enemies from 0 Ferocity and using abilities. Empowers abilities at four stacks. Empowered abilities grant 30/40/50% (level 1/7/13) movement speed for 1.5 seconds. Buff lingers for 0.25 seconds upon leaving brush. Leap range increased to 725 from 600. Speed reduced, time to target increased ~0.15 seconds on larger leaps. Now lands slightly offset in the direction her came from rather than in the center of the model. Stacks to five from unique champion kills. Now accepts damage within a 1.5 second period as a kill credit, increased from 1. Now grants 1/3/6/10/15 AD, 2/6/12/20/30% bonus AD. New UI to track progress. Empowered: Each hit deals 15-185 (based on level) (+100% AD) damage. Casting outside of range causes the second half to lunge. Deals 50/80/110/140/170 (+80% AP) magic damage in an AoE and heals Rengar for 50% of damage taken in last 1.5 seconds. Healing doubled for monster attacks and represented by a grey bar on the UI. Empowered: Deals 50-220 (+80% AP) damage and removes plus prevents CC effects for 1.5 seconds. Empowered: 50-305 (+70% AD) damage and roots instead of slowing. Duration increased to 14/22/30 seconds. Uses new Camouflaged flag to be seen by nearby champions and truesight only, no fade time. Grants 20/30/40% movement speed and vision of nearest enemy champion within 2000/3000/4000 range. Leap available after 2 seconds, increased from 1. Only the nearest target is revealed – both teams are made aware of this. Gives a guaranteed critical strike to that target, but other targets can be leapt to. Abilities put a stacking wound on champions, up to three times. Last six seconds. Leaps to target and deals80/100/120/140/160 (+100% AD) damage. Now deals a critical strike (+50% damage) if used at melee range, rather than leaping. When it kills a unit, Talon heals for 17-51 HP and cooldown is halved. Volley of blades that deal 50/65/80/95/110 (+40% AD) damage on hit. Blades return after a 0.7 second delay, dealing60/85/110/135/160 (+60% AD) damage and slowing on hit by 40/45/50/55/60% for 1 second. Allows Talon to vault over terrain in the specified direction. Speed of vault is controlled by movement speed. Works on player-made terrain. Cannot dash over the same section of terrain more than once every 150/125/100/75/50 seconds. This is reduced by CDR. A ring of blades that deal80/120/160 (+80% AD) to all units hit. Blades return to Talon after 2.5 seconds or once he attacks outside of 0.8 seconds, dealing the same damage again. Gains 40/55/70% movement speed and becomes Invisible for 2.5 seconds. 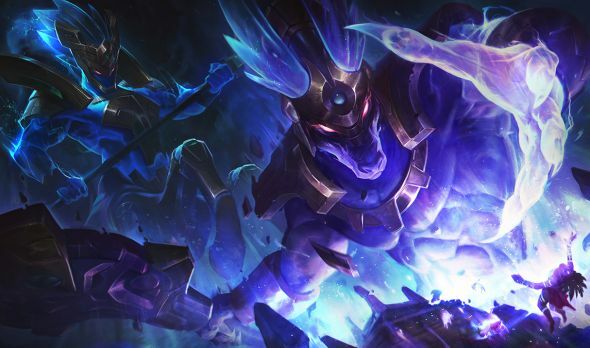 These are the champions that received less major reworks to their abilities as part of the pre-season update. 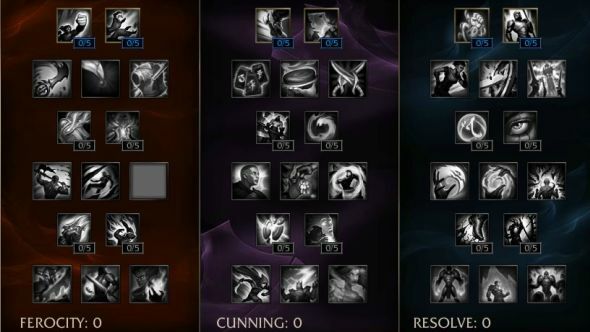 Now gives Akali’s next two attacks bonus effects, scaling with level, then goes on cooldown. Now restores 5-60 (+60% AD, +30% AP) health. Deals 10-100 (+50% AP, +50% AD) additional magic damage. Now teleports Akali to cast location and leaves a shroud where she was before, with a range of 250. Now refunds 60% cooldown if it kills an enemy. Starts with charges when first learned. Cooldown increased to 2 second at all ranks from 2/1.5/1. Damage range lowered – 30-140 at levels 1 to 18. Increases radius by 50 at peak distance, returning to normal as it springs back. Passing through shield with R will trigger it. 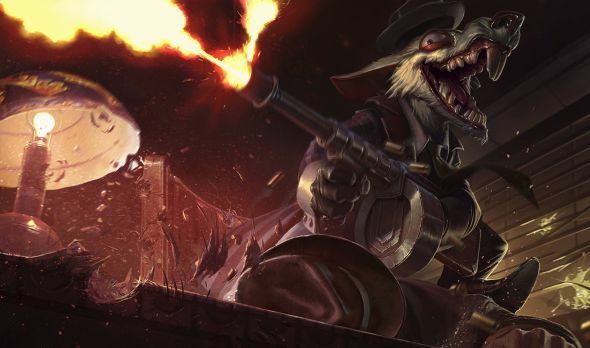 Fizz’s dexterity allows him to move through units and take x less damage from basic attacks. Now applies W to all enemy units hit with dash. Mana cost changed to 30/40/50/60/70 from 40 at all ranks. Cooldown decreased to 10/9.5/9/8.5/8 seconds from 10 at all ranks. Passive: Applies a 25/40/55/70/85 (33% AP) magic damage bleed for 4 seconds on basic attacks. Active: Next basic attack deals 25/40/55/70/85 (+33% AP) bonus magic damage. If the target is bleeding, damage increases to 90/135/180/225/270 (+100% AP). Seastone Trident now refunds 20/28/36/42/50 mana and sets its cooldown to 1 second if it kills the target. Deals 120/270/420 (+50% AP) up to 360/510/660(+100% AP). No longer buffs Fizz’s damage against the target. Seastone Trident (W) passive applied on hit by shark. Increased latch range for fish on targets. Isolated target effects moved to Passive. No longer slows on base. Base stealth increased to 1.5 seconds from 1 second. Evolved form brush duration decreased to 2.5 seconds from 3. Evolve name changed to Adapative Cloaking from Active Camouflage to avoid conflict with new terminology. Damage when attacking from behind changed to 120-145% mini crits from 20% bonus damage. Backstab now deals 200% damage vs monsters. Now 20/35/50/65/80 (+100% total AD)(+50% AP), buffed by passive mini-crit. Attacking during or shortly after invisibility will reduce Deceive’s cooldown by 3 seconds. Total Duration increased to 60 (+ 1 second per 20 AP) from 60 seconds. 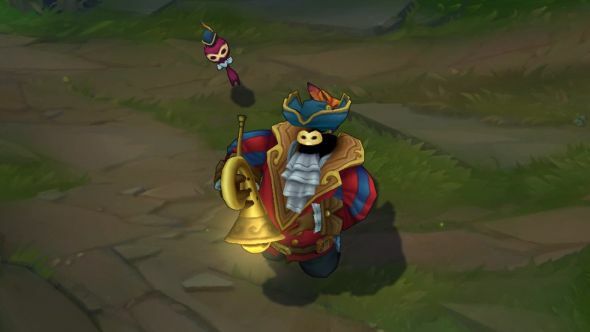 Can now be placed in stealth but briefly reveals Shaco, not making him targetable. Now deals half-damage to turrets. These deal 25/50/75 (15% AP) damage and make enemies flee for .75/1/1.25 seconds. Trigger together and share health. Damage to turrets reduce to 35% from 50%. Takes double damage from turrets. 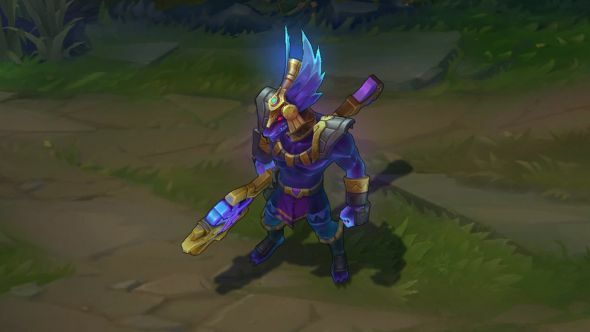 Alistar gains a Triumph stack when he stuns or displaces enemy champions or nearby enemies die. At 7 stacks Alistar Roars, healing himself for [13 + 7 per level] and his nearest allied champion for [26 + 14 per level]. 3 second cooldown. Alistar cannot gain Triumph stacks while Triumphant Roar is on cooldown. The death of enemy champions and epic monsters fully charges Alistar’s roar. No longer stuns targets when they land. 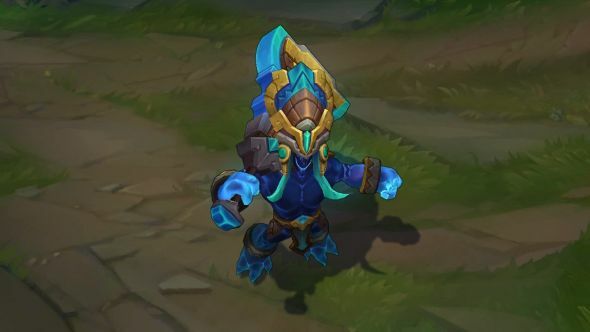 Deals 100/125/150/175/200 (+40% AP) magic damage over 5 seconds to nearby enemies and gives Alistar a Trample stack if he damage an enemy champion. 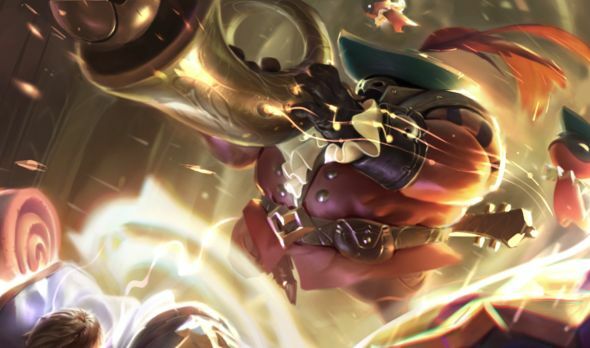 At 5 Trample stacks, Alistar’s next basic attack against an enemy champion will deal 40(+10 per level) additional magic damage and stun for one second. No longer gives Alistar 60/75/90 AD while active. Now reactivated with button press as well as click. Daisy AI massively improved to be more responsive and generally better. Remount time decreased to 0.5 seconds from 1. Name changed to Guerrilla Warfare from Camouflage to avoid conflict with new terminology. Now camouflages Twitch for 10/11/12/13/14 seconds instead of stealthing for 4/5/6/7/8. Now gives 30% movement speed bonus when near enemy champions who can not see him. Adds stack of Deadly Venom passive on hit. Adds an additional stack of Deadly Venom each second while in cloud. Renamed Spray and Pray from Rat-Ta-Tat-Tat. Updated with different terminology for Stealth – now Invisible. 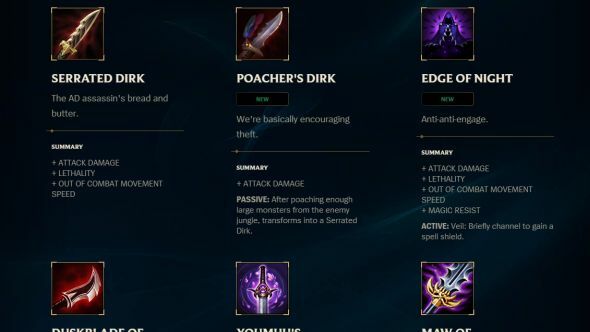 Armor penetration has been changed to Lethality. Lethality is similar to armor pen but it scales with opponent’s level. Riot have a thread about it. 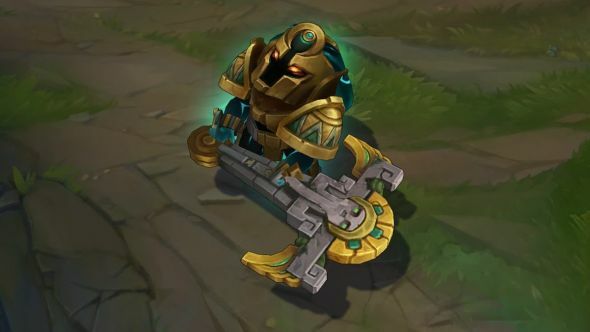 Lethality now gives the owner flat penetration split between a base amount, and an amount that scales with the target’s level. 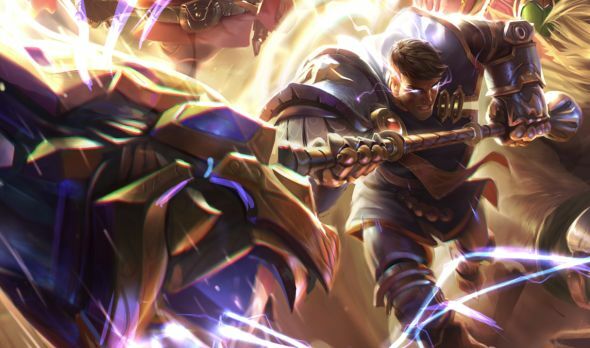 Armor pen runes are being converted to Lethality runes with slight value tweaks. Exact numbers on [email protected]. Stealth – Camouflaged: Revealed by nearby enemy champions and turrets. Stealth – Invisible: Can only be revealed by nearby enemy Turrets. Can only Carry 3 Control Ward in inventory. Places a ward that reveals the surrounding area. This device will disable and reveal nearby non-Control wards and hidden traps. Camoflaged units will also be revealed.Limit 1 Control Ward on the map per player. Replaces Vision Ward, which has been removed. UNIQUE Passive: If your Partner is nearby, gain +40 additional Armor and +15% Movement Speed towards them. 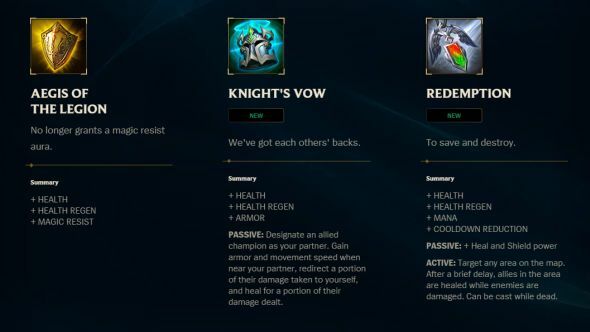 UNIQUE Passive: If your Partner is nearby, heal for 12% of the damage your Partner deals to champions and redirect 12% of the damage your partner takes from champions to you as true damage (healing and damage redirection are reduced by 50% if you are ranged). 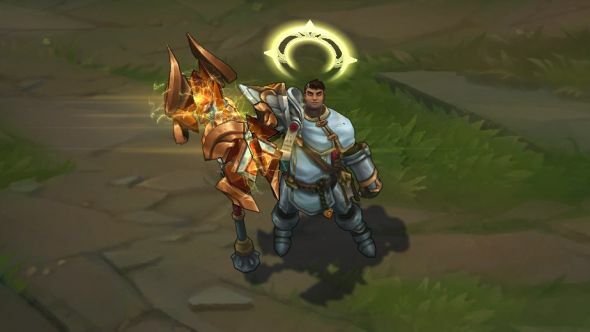 Champion’s may only be linked by one Knight’s Vow at a time. UNIQUE Passive: After poaching 3 large monsters from the enemy jungle (60 second cooldown), transforms into a Serrated Dirk. UNIQUE Active: Target an area within 5500 range. After 2.5 seconds, call down a beam of light to heal allies for 130 (+20 per level of target) Health, burn enemy champions for 10% of their maximum Health as true damage and deal 250 true damage to enemy minions (120 second cooldown). Can be used while dead. Half effect if the target has been affected by another Redemption recently. UNIQUE Passive: Nightstalker. After being unseen for at least 1 second, your next basic attack will deal 50 + (200% Lethality) true damage on-hit. UNIQUE Passive: Blackout. Cause a blackout when spotted by an enemy ward, disabling nearby enemy wards for 8 seconds. Removed UNIQUE Passive: After killing any unit, your next basic attack or single target spell deals 15 bonus damage. Magic Damage is now a Drain effect, causing the attacker to heal for 20 whenever they attack as well as deal 20 magic damage. New UNIQUE Passive: Increases to your Base Mana Regen stat also increase your Base Health Regen stat by the same amount. Now shields your ally and yourself upon cast. Double the slowing explosions. Self-casting the effect will now target the nearest most wounded ally, similar to Heal. New UNIQUE Passive – Harmony: Increases to your % Base Mana Regen stat also increase your % Base Health Regen stat by the same amount. Stepping into brush causes your next damaging attack or ability to deal 3% of your target’s current health as bonus magic damage. 9 second cooldown. Gain 10% + 2 per level bonus Armor and Magic Resist for 2 seconds when damaged by an enemy champion. 9 second cooldown. 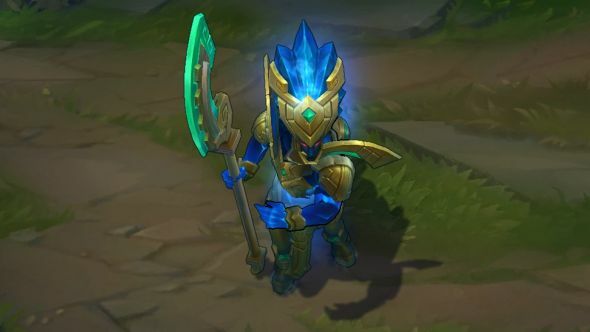 Gain a shield for 10 + 10 per level + 7% of your maximum health for each nearby enemy champion for 4 seconds after hitting an enemy champion with hard crowd control. 30 second cooldown. Knocksback all units when destroyed. Spawns in the jungle areas, but will only respawn in their original spots for each game. There are only two spots per quadrant where this can be. Location launched to is shown by red indicator. Drops fruit that can be ran over to restore health and mana, at the cost of movement speed. Amount restored governed by champion level and % missing health and mana. 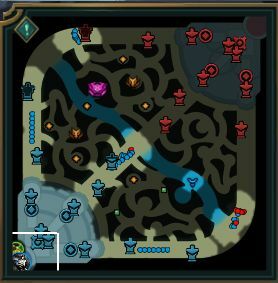 Reveals a huge portion of the map when destroy, showing units and wards. Spawns at specific locations, all near river ramps. Range of reveal is ~4000. Reveals for 15 seconds, less on moving targets. Camps get big changes along with everything else when the jungle is overhauled. Camp respawn timers increased to 150 seconds from 100 seconds. Camp start times are about 3 seconds earlier to account for other spawn changes. Monsters gain 40 to 75% extra health and 185 to 370% extra damage. Now receives a 100% attack speed boost at the beginning of the fight, decaying over 5 attacks. Spawns 15 seconds later than other camps. Aspect of the Dragon (elder dragon buff) duration increased to 150 seconds from 120. 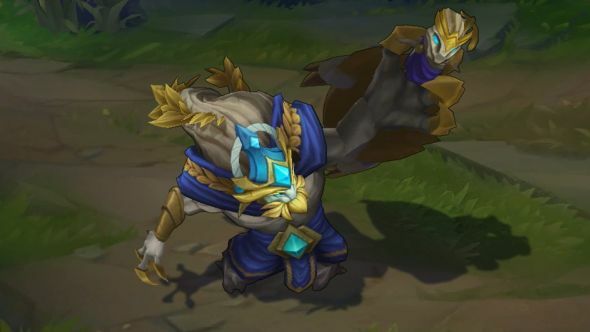 Large and normal Krugs now split into more Krugs on death. Mini Krugs do not split. Mini Krugs die to a single auto attack. Large Krugs are resistant to basic attacks but are much slower than other camps. Small raptors increased from three to five. Now spawns at 10 minutes, increased from 6 minutes. Attack damage decreased to 119 from 147. Now restores 100 health + 10% maximum HP when used on monsters. Ammo charge starts at 1:40 instead of 1:25 into a game. Additional buffs for using Smite on camps removed. 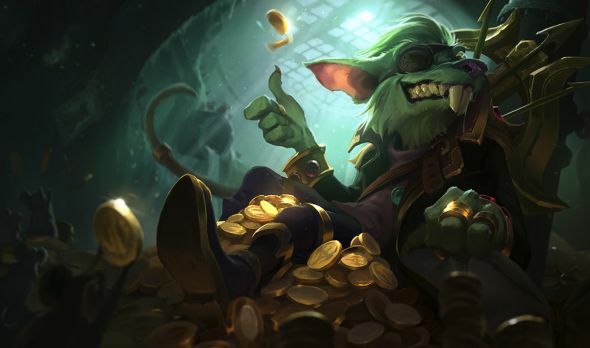 2016 Ranked Reward.Details from Riot. 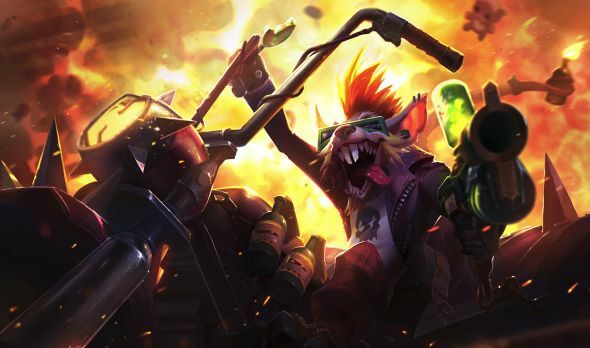 Twitch gets all the love this time around, with five updated skin splashes. 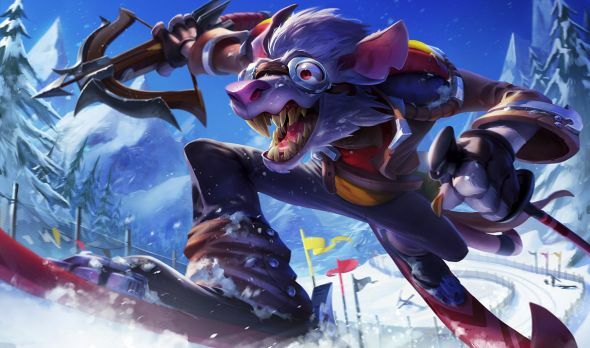 Summoner’s Rift’s traditional snowy reskin is back again, and previewed in this teaser video. The assets were added in the 6.22 update, but it is not yet available for testing. 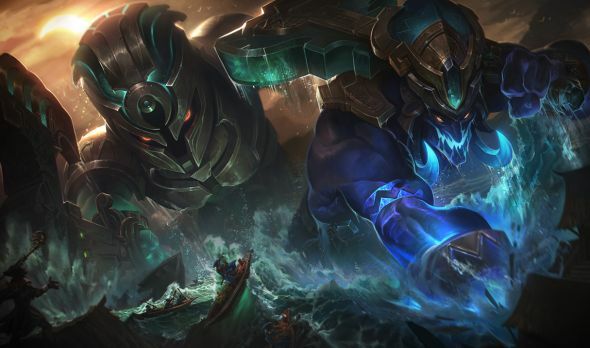 Replays finally come to League of Legends in patch 6.22. 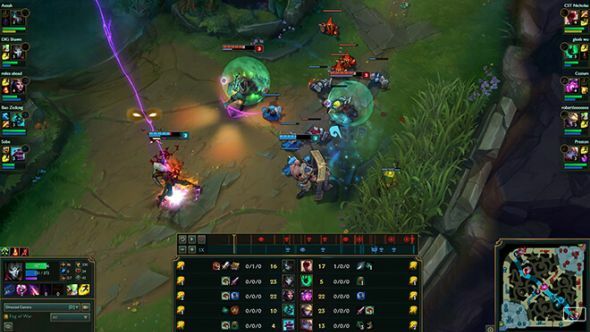 This is obviously a huge new feature, and Riot have a big official preview. Of note, you have to be using the alpha client to access them. 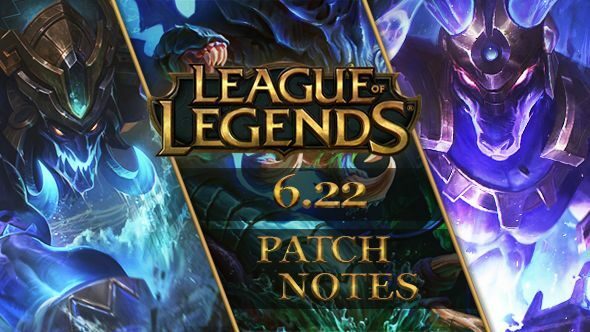 That’s League of Legends patch 6.22. We’ll update as and when we get more info, or we’ll see you for patch 6.23 – or should that be 7.0? – in the very near future. Let us know below if there’s any vital info we missed!